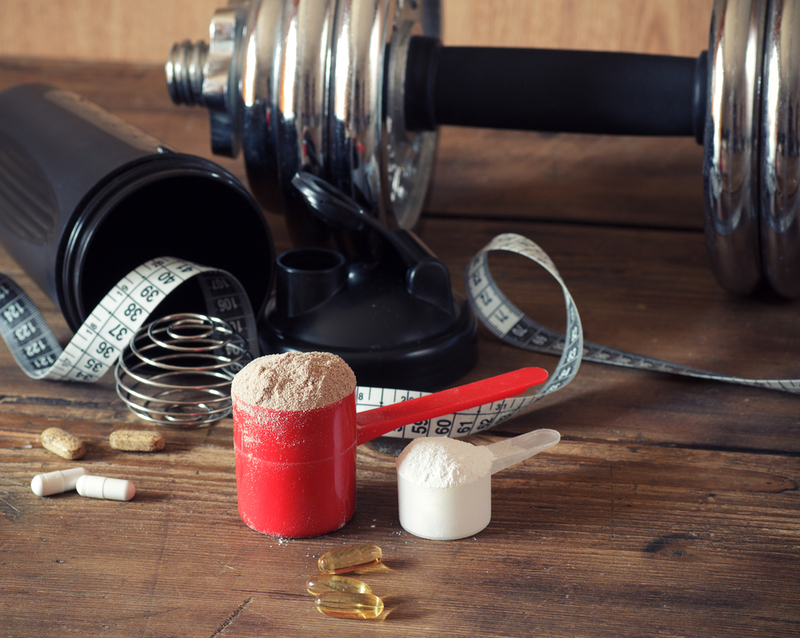 EAAs vs BCAAs – What’s the Best Supplement? In the ongoing debate between BCAAs vs EAAs, bodybuilders and fitness enthusiasts often come down on different sides of the issue. Many a disagreement has been had between gulps of their chocolate protein shakes over whether an EAA supplement is the right choice or to stick to the good old BCAA’s one instead. In this article, we’ll cover what is EAA and what is BCAA, why they matter for whole body health or building muscle mass reliably, and which side makes sense for you. Before we dive head first into the EAA vs BCAA debate, let’s cover amino acids so everyone’s on the same page. The protein that is the main part of our muscles is not stagnant. In fact, it’s constantly changing. Previous protein stores get too old and degrade down; new proteins move in to take their place. Therefore, while we may think of our muscles as never changing, even if they remain the same size for years, that’s not actually the case. Your muscles from a year ago are totally different to what they are today. At times, the new protein being received is greater than the protein that’s gotten too old and is in the process of degrading. The result is a growth in the total muscle mass. This is referred to in exercise circles as “being in an anabolic state.” However, when you have more muscle mass being degraded because either too little new protein is being introduced or muscle mass is being eaten away through, say, a heavily calorie restricted diet, then the muscle mass will reduce. This is referred to as “a catabolic state” which is not a phrase you hear often in exercise circles as most exercisers are focused solely on increasing muscle mass (or at least not getting smaller). For most exercisers, they want to improve their fitness, burn fat and grow their muscles. The difficulty with this is that the very act of exercising burns fat and causes proteins to break down faster. Indeed, with exercises like weight training, muscles are intentionally broken down to rebuild them bigger and stronger than before. As such, this accelerates the cycle of muscle and protein breakdown and the need for greater amounts of protein to replace and exceed the protein levels that were present before. In the course of exercising, existing protein in the muscles gets broken down and must be replaced by new protein. The muscles themselves break down too if they don’t receive enough protein and have ways of using this basic building block to create the muscles from them. The main building blocks for muscles is amino acids and there are between 20-22 amino acids depending on which expert you choose to believe. Nine of them are marked as essential amino acids (EAAs) because they have the properties of: 1) being required to build muscle; 2) the human body cannot produce them; 3) they need to be found in either food sources or effective supplementation (or both). Special attention is paid to essential amino acids because they’re the ones that cannot naturally be produced by the body. Without enough of them from food or supplements, muscle production stops and with a heavy exercise program, it’s difficult to maintain muscle mass because the muscles and/or protein is breaking down too rapidly. Within the 9 essential amino acids, Valine, Isoleucine and Leucine are branched-chain amino acids (covered in the next section). These three are used for muscle protein synthesis, so without them, muscles cannot grow. As a side note, two amino acids, being valine and isoleucine, step in for glycogen when it’s drained as an energy source for the muscles. These two amino acids can become depleted during endurance races or long exercise routines when glycogen levels fall too low. Should this happen, they need to be replaced too. As mentioned earlier, there are at least 20 amino acids and possibly as many as 22. While the eternal debate over BCAA vs amino acids goes on, let’s dig into the issue rationally. Branched-chain amino acids are the full load, not just the essential amino acids that the human body cannot produce itself. This larger group of amino acids helps to build more muscle. With more amino acids, you’re getting the nine essential ones and others that you probably already get in your meal plan. Because your body can produce the non-essential amino acids internally, they’re not really needed for supplementation unless you’re not eating right. If you’re eating on the go the whole time, then it makes sense to consider a BCAA supplement. However, when your body gets a well-rounded diet to operate efficiently, the extra amino acids are likely in plentiful supply already. Fitness enthusiasts still take BCAA supplements because that’s what they started with (an essential amino acid supplement wasn’t available a few years ago) and so they’ve stuck to what they felt has worked for them. In a classic – “If it isn’t broke, don’t fix it” – they stay with BCAA supplements regardless of new options. BCAAs get maligned at times. This is because it often seems like overkill. If the body can produce the non-essential amino acids for your muscles, then why supplement them? Why care? Just for completeness? This is why some exercisers have switched to EAA supplements instead. Essential amino acids are critical for the body. It’s incapable of synthesizing them internally. Literally speaking, when you don’t eat enough, your muscles break down and your stomach shrinks in size. This is because without eating well or using proper supplementation, you’re not getting the EAAs that you require to synthesize and replace older protein in the muscles with newer protein sources. What’s less known is that EAA has to be in plentiful supply for the body to produce muscle from amino acids (or protein that includes amino acids). All nine of the previously listed EAAs must be present too, otherwise nothing will happen. Without any one of them or one that’s in low supply, protein synthesis stops dead. For bodybuilders or anyone interested in getting stronger or firmer, that’s very bad news! Perhaps the most important building block for muscle synthesis is leucine. It’s a BCAA but it’s also an EAA too. It flips the switch by turning on the rapamycin pathway which gives the green light for protein synthesis. Nothing happens without this. Taking in a meal after a workout that includes a good dose of carbohydrates and lean protein (or whey protein) is useful at that time. Along with providing a release system for insulin which will activate the rapamycin pathway, resistance training encourages the start of muscle synthesis too. However, the cleanest way to do so is with an EAA supplement. It removes the guesswork completely. Unless you have specific reasons to do so, buying a BCAA supplement doesn’t make much sense. It’s more than the body should require (unless you’re heavy into building muscle as quickly as possible, in which case BCAA might be required for that). But for most mere mortals, seeking out the best EAA supplement is what you should do. With an EAA supplement, you get the essential amino acids that might be in low supply, low quality or not present at all. It’s more efficient as a supplement because for most exercisers, they don’t need 20-22 amino acids anyway. The essential ones are enough and provide sufficient quantity for efficient muscle synthesis without the daily guesswork about whether their diet that day supplied enough EAAs on its own. Look for the best EAA supplement you can afford. Ensure it’s from a reputable supplier so that it’ll have nothing but the most high-quality essential amino acids for you with nothing missed out.